This cute design features four cartoon Budgies in profile -- with a twist. One of the Budgies has a Santa Claus hat! 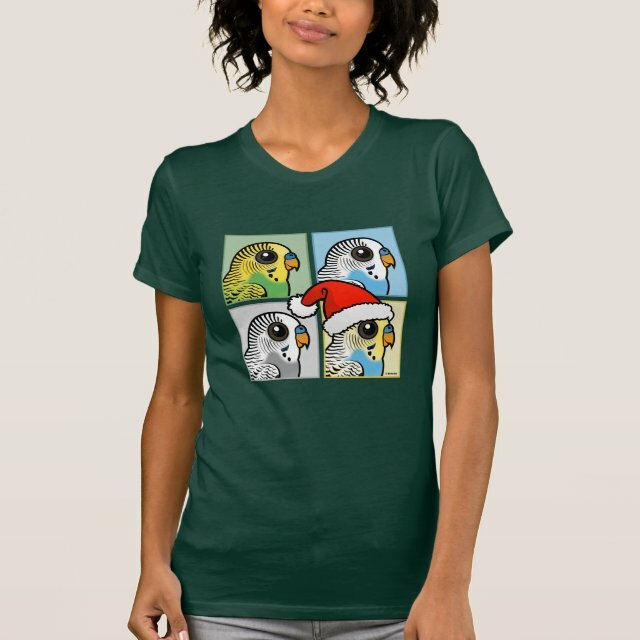 What a cute holiday design for parakeet lovers!